Imagine the scene; you need to log into your clients Google Analytics account on your company Google account but also need to log into their Google Webmaster Central account which is under a separate Google account. It’s a pain isn’t it? Whether you are a self-employed SEO, an in-house SEO or an agency-based SEO, I’m sure you’ve had to do this. You either log in and out of both accounts in the same browser or you open one in Internet Explorer and the other in Firefox to stop you having to login and out of both of them. The buck doesn’t even stop with Google, what about other social media profiles you have for Clients’ Facebook accounts for example. The logging in and logging out dance becomes tiresome! As an online marketing consultant at a leading digital marketing agency, this is a problem I’ve encountered for 5 long years – more so with the expansion of our company and the continual increase in clients. Thankfully, with the introduction of Google Sync, you can utilise the power of Google Chrome to get round the need to log in and out of different accounts and also avoid the potential risks of posting to the wrong account! 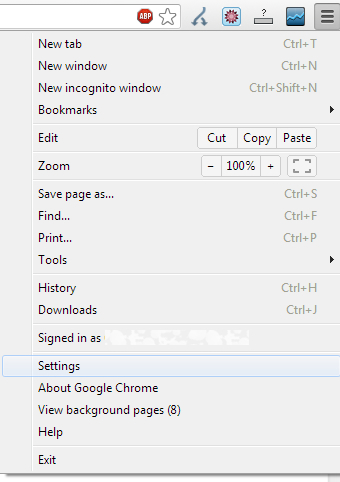 Google Chrome comes with a fantastic setting called Google Sync. Primarily used to allow you to different browser sessions on different machines (using the tabs you have left open at work on your home PC for example), it can also be used to add several accounts allowing you to use each of their Google properties separately. Below I’ll document how to set this up to make your life so much easier. 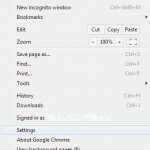 Go to your Settings in Google Chrome via the top right Customise and Control section. Choose a picture and a name your user. Personally, I use one of the cartoon characters for my personal account and the coloured heads for company accounts. A new window will open asking you to sign in to your Google account. Sing in with the account that you intend to use with this User account. Once you’ve set all of your accounts up, all you simply need to do is click the icon in the top left of the browser and select the account you require. A new window will open and you simply need to visit any website that you associate with that account, be it Google Analytics, Facebook or any other social website and sign in as that account. By saving passwords or utilising “remember me” facilities, you will never have to log back into the accounts again. I’ve used this for several of my personal and company accounts as well as side projects where this has come in so handy such as multiple YouTube accounts, Facebook company accounts where I don’t want a personal account associated, Google Places, Google Merchant Center – all sorts! Now you can use Google Chrome to quickly and easily switch between your accounts without having to log in and out ever again! Also, a special hat tip to Dan Hoggan for introducing this to me. Hey Kev, great post – really, really handy. I’ve been launching Ingonito windows for a while to log between accounts – but this is far simpler in the long run, especially if it saves passwords between accounts as you say. Thanks so much for sharing. 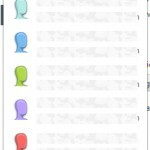 For Mac users wishing to employ this, simply add the new accounts under Chrome -> preferences (the add new user option is at the bottom) and the little icon to switch accounts is a funny white head, top right of any Chrome window. Cheers Carly, glad you like it. It does indeed save passwords, user sessions and recently closed tabs between each account window too. Also stores it’s own bookmarks and extensions if you so wish. Hi Kev, excellent stuff – I’ve used a number of workarounds for saving time on this before, but I never knew there was such an easy way offered by Google themselves. Really handy that it also can reload recently closed tabs and stores it’s own bookmarks and extensions too! Made my life much easier. Cheers Ned, really appreciate it. Hi Pilar, thanks for the response. Definitely start with WordPress. I suggest starting off with a Wodrpess hosted blog on http://wordpress.com/ and continue from there.